This week the New York Times reported that a young Chinese factory worker jumped to his death from his dorm window. He worked 11 hours a day, 7 days a week for about $1 an hour. A demotion left him cleaning toilets. He was one of 10 workers from the same company who committed suicide and media attention has resulted in several large pay increases for employees. (Reuters) – iPhone maker Foxconn (2038.HK) has offered workers at its Shenzhen manufacturing hub in China a 66 percent performance-based pay rise as it tries to deal with the fallout from a spate suicides there. (vi) Injuries and illnesses will not be considered work-related if they are solely the result of personal grooming, self-medication for a non-work-related condition, or are intentionally self-inflicted. This exception allows the employer to exclude from the Log cases related to personal hygiene, self-administered medications and intentional self-inflicted injuries, such as attempted suicide. It’s definitely a concern that “personal grooming” and “attempted suicide” are summed up in the same paragraph…I don’t care if they Log the former but it certainly seems as though a record should be kept of something as tragic as an attempt to end a life. 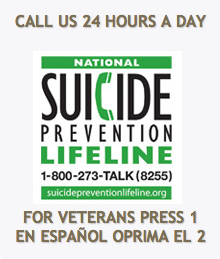 Anyone experiencing thoughts of suicide should seek help immediately. This entry was posted in International and tagged abusive monsters, bullying, documentary, Foxconn, harassment, health, healthy workplace bill, hostile workplace, social justice, suicide, the_excerpt(), workplace bully, Workplace Bullycide, workplace bullying, workplace harassment, workplace violence by bullyinworkplace. Bookmark the permalink.